The small, stylish 2017 Hyundai Accent in Arlington delivers one of the most comfortable rides in the small car segment. 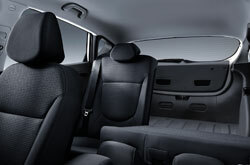 It seats up to five passengers and features a very quiet cabin, which improves the in-car experience as a whole. On top of these perks, the model also comes equipped with a great engine that produces first-class power. A new Value Edition trim has also been added to the roster, offering more options for less. Look at our 2017 Hyundai Accent review below for more details about the new model. Available as a four-door sedan or four-door hatchback, the Accent aims to accommodate drivers with different wants and needs. To further suit those with diverse preferences, the car comes in a series of trim levels: SE and Value Edition for the sedan, and SE and Sport for the hatchback. All SE models are fitted with 14-inch steel wheels, satellite radio, a trip computer, a six-speaker sound system, keyless entry, a 60/40-split folding rear seat and a tilt-adjustable steering wheel. 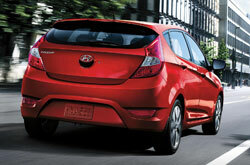 The hatchback model also gets a rear window wiper. The new Value Edition model gets 16-inch alloy wheels, hill start assist, rear disc brakes, cruise control, steering-wheel-mounted controls, Bluetooth and a center console storage box. Heated mirrors, a spoiler, projector-beam headlights, a leather steering wheel, sport-tuned steering, premium cloth seating, piano black interior accents and foglights are found on the Sport trim. Every version of the 2017 Hyundai Accent in Arlington is outfitted with a 1.6L four-cylinder engine under the hood. Generating 137 horsepower and 123 lb.-ft. of torque, the engine is supported by either a six-speed automatic or manual that delivers power to the front wheels. 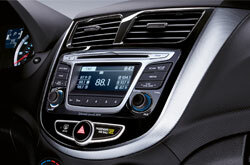 With the manual, the car can offer an EPA-estimated 31 mpg combined, 27 city and 37 highway on the SE sedan. Front and rear head airbags, dual side-mounted airbags, stability control, traction control, emergency brake assist, a tire pressure monitoring system and antilock brakes are standard on the Accent. Other safety features noted in 2017 Hyundai Accent reviews include rear door child locks, headrests and a rear center 3-point belt. Find out why people shopping for new vehicles near Dallas consider the venerated 2017 Hyundai Accent rather than the 2017 Mazda2, Honda Fit, Chevrolet Sonic, Ford Fiesta and the Toyota Yaris. Chances are that it thoroughly complements your every demand, with its assortment of features and rakish design from front to back. Take advantage of our review and try the comparison tool to see if the 2017 Hyundai Accent is perfect for you. Also view finance and lease offers while you're here! 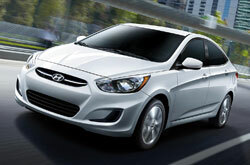 Find factory offers on the peerless Hyundai Accent at Vandergriff Hyundai, a neighborhood dealership with a topflight selection of Hyundai models. To protect yourself from making a purchase you stress out about, make sure you be mindful of the particulars that you find invaluable from our 2017 Hyundai Accent review. 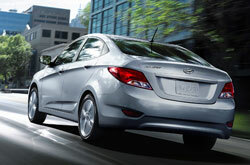 Check out new Hyundai Accent models at Vandergriff Hyundai - submitting a request for a test drive on our site is streamlined using our contact form. Are you eager to see it before your visit? Check out the included video to view its full exterior.